Higginbotham Bankruptcy Law Firm > Bankruptcy > Chapter 7 Bankruptcy — What is the Means Test? Chapter 7 Bankruptcy — What is the Means Test? Being overwhelmed with bills and debt is frustrating, and it’s something that many families across the state of Florida are experiencing right now. Bankruptcy may be a viable solution to help you regain your financial footing, but there are a few different types of bankruptcy that can be filed. A chapter 7 bankruptcy can help you erase your debt completely without paying it all back, but you’ll have to pass a means test first. What is a means test, and how does it affect your bankruptcy? What Is the Purpose of a Means Test? 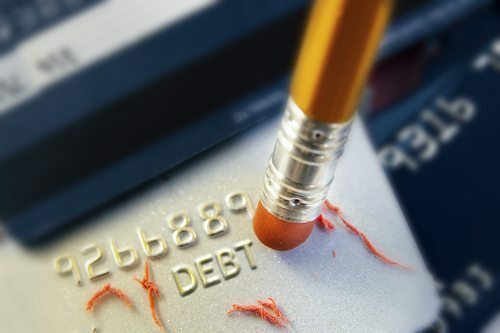 Because a chapter 7 bankruptcy involves discharging many, if not all, of an individual’s debts, it is important to establish that an individual is truly financially unable to pay the debts. The means test examines an individual’s finances and determines how much of their income is considered “disposable,” and therefore able to be put towards debt payments. Not all individuals who wish to file a chapter 7 bankruptcy in Florida will have to complete the entire means test. If you make less than the median income of a household of your size in your area, you will not need to determine how much disposable income you have. You will automatically pass the means test and be able to proceed with a chapter 7 bankruptcy. Can You Still File for a Chapter 7 Bankruptcy If You Don’t Pass the Means Test? In some cases, you may still be able to file a for a chapter 7 bankruptcy, even if you don’t pass the means test. However, this is generally only reserved for individuals with a very high debt-to-income ratio. More often than not, if you do not pass the means test in Florida, you will be limited to filing a chapter 13 bankruptcy. In a chapter 13 bankruptcy, you are required to pay back most, if not all, of your debt over the course of a court-mandated three-to-five year repayment plan. If you are struggling to pay back your debts, filing for bankruptcy may be the best option to bring you financial relief. Although it is possible to file for a bankruptcy using online or DIY forms, this could be detrimental to your case. Failure to fill out the bankruptcy forms properly or to understand the necessary steps to successfully filing a bankruptcy can lead to the rejection of your case, or to the loss of many of your valuable possessions. At the Law Firm of D.C. Higginbotham, we understand the laws regarding Florida bankruptcy and can help you find the best course of action for debt relief. Contact us today to schedule a consultation to learn more about your legal options by calling (904) 354-6604.